Make a statement without saying a word when you pull up in our 2018 Porsche 718 Boxster that's undeniably beautiful in Red! Excite your senses and fire up the 2.0 Liter Turbo Charged 4 Cylinder that generates 300hp. The power is sent to the rear wheels via the 7 Speed PDK Automatic transmission and sends this high performance convertible to 60mph in just 4.7 seconds on its way to a top speed of 170mph. You'll score near 28mpg on the highway, and undoubtedly enjoy the incredible agility of this machine that's simply unrivaled!Our 718 Boxster has a striking appearance with a low wide stance that's highlighted by gorgeous wheels, Black brake calipers, bi-xenon headlights, LED running lights, a power-folding soft top, and an automatically deploying rear spoiler. Find all the amenities you desire in the cabin including cruise control, air-conditioning, leather trim, a heated steering wheel, adjustable seating and a universal garage door opener. Maintaining that ever-important connection is easy via our Porsche Communication Management, Bluetooth and an impressive Bose audio system with available satellite radio, HD radio and auxiliary input.Built to the highest standards with attention to detail, our Porsche provides peace of mind as you enjoy the art of driving. It's outfitted with front and rear parking sensors, a rear view camera, anti-lock brakes, traction/stability control, and airbags. Reward yourself with luxury and high performance that will exceed your expectations. Print this page and call us Now... We Know You Will Enjoy Your Test Drive Towards Ownership! Bask in the well-executed design of our 2018 Porsche 718 Boxster S that's undeniably beautiful in Agate Grey Metallic! Excite your senses and fire up the 2.5 Liter Turbo Charged 4 Cylinder that generates 350hp. The power is channeled to the rear wheels with a fun-to-drive 6 Speed Manual transmission and sends this high performance convertible to 60mph in just 4.2 seconds on its way to a top speed of 177mph. Score near 27mpg on the highway and undoubtedly enjoy the incredible agility of this machine that's simply unrivaled!Our 718 Boxster S has a striking appearance with a low wide stance that's highlighted by 20-inch wheels, red brake calipers, bi-xenon headlights, LED running lights, a power-folding soft top, and an automatically deploying rear spoiler. Find all the amenities you desire in the cabin including cruise control, air-conditioning, a heated steering wheel, leather trim, adjustable seating and a universal garage door opener. Maintaining that ever-important connection is easy via our Porsche Communication Management, Bluetooth and an impressive Bose audio system with available satellite radio, HD radio and auxiliary input.Built to the highest standards with attention to detail, our Porsche provides peace of mind as you enjoy the art of driving. It's outfitted with front and rear parking sensors, a rear view camera, anti-lock brakes, traction/stability control, and airbags. Reward yourself with luxury and high performance that will exceed your expectations. Print this page and call us Now... We Know You Will Enjoy Your Test Drive Towards Ownership! Bask in the well-executed design of our 2018 Porsche 718 Boxster S Convertible that's undeniably beautiful in Jet Black Metallic! Excite your senses and fire up the 2.5 Liter Turbo Charged 4 Cylinder that boasts 350hp. The power is channeled to the rear wheels with a 7 Speed Automatic transmission and sends this high performance convertible to 60mph in just 4.2 seconds on its way to a top speed of 177mph. You'll score near 26mpg on the highway and undoubtedly enjoy the incredible agility of this machine that's simply unrivaled!Our 718 Boxster S has a striking appearance with a low wide stance that's highlighted by prominent wheels, red brake calipers, bi-xenon headlights, LED running lights, a power-folding soft top, and an automatically deploying rear spoiler. Find all the amenities you desire in the cabin including cruise control, air-conditioning, leather trim, adjustable seating and a universal garage door opener. Maintaining that ever-important connection is easy via our Porsche Communication Management, Bluetooth and an impressive Bose audio system with available satellite radio, HD radio and auxiliary input.Built to the highest standards with attention to detail, our Porsche provides peace of mind as you enjoy the art of driving. It's outfitted with front and rear parking sensors, a rearview camera, anti-lock brakes, traction/stability control, and airbags. Reward yourself with luxury and high performance that will exceed your expectations. 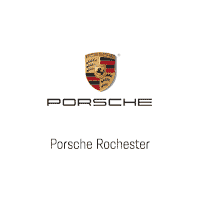 Print this page and call us Now... We Know You Will Enjoy Your Test Drive Towards Ownership!Porsche of Rochester is part of the Garber Automotive Family. We have been family owned for over 110 years. We strive to be the BEST automotive sales and repair operation in every market that we serve. We are only doing our job properly when we create an experience for the customers for which they choose to return and do business with us again.